Vitamin D deficiency describes low levels of vitamin D in the blood. This condition can lead to a condition known as rickets in children. In adults, it can lead to osteomalacia . 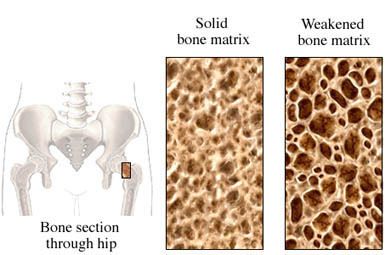 These are 2 forms of bone diseases that weaken bones. American Academy of Dermatology. Position statement on vitamin D. American Academy of Dermatology website. Available at: http://www.aad.org/Forms/Policies/Uploads/PS/PS-Vitamin%20D.pdf. Updated November 14, 2009. Accessed November 7, 2017. Dietary supplement fact sheet: vitamin D. Office of Dietary Supplements website. Available at: http://ods.od.nih.gov/factsheets/VitaminD-HealthProfessional/. Updated February 11, 2016. Accessed November 7, 2017. Vitamin D deficiency in adults. EBSCO DynaMed Plus website. Available at: http://www.dynamed.com/topics/dmp~AN~T113821/Vitamin-D-deficiency-in-adults . Updated October 9, 2017. Accessed November 7, 2017.